September 27th marks World Tourism Day. 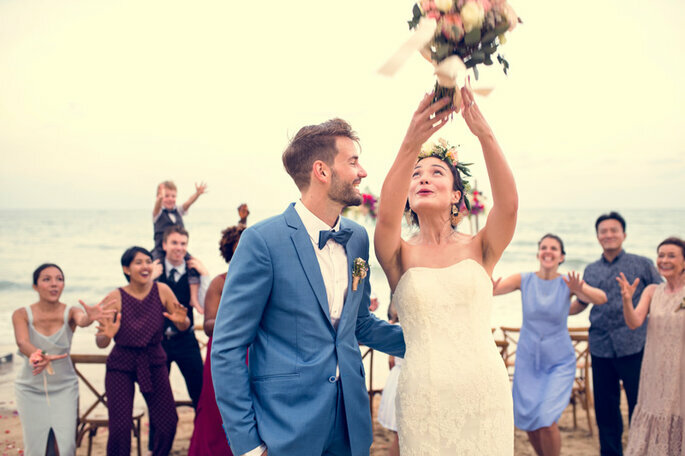 We look at the contribution wedding and honeymoon toursim has made in additon to exploring 5 new trends in the sector. September 27th marks the official celebration for World Tourism Day as initiated by the United Nations World Trade Organisation (UNWTO) in 1980. This is a day dedicated to raising awareness of the contribution that tourism has made and continues to make to sustainable development across the planet. 2017 was named International Year of Sustainable Tourism for Development and this year the UNWTO is championing Innovation and Digital Transformation in tourism, whilst also having launched a new initiative to encourage and support tourism startups investing in these activities. These goals i.e. 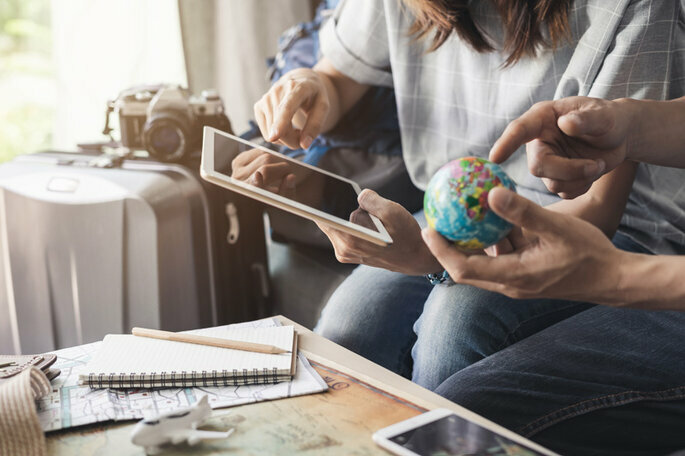 the adoption of sustainable business practices and investment in digital technologies are changing the face of the tourism industry, and the romance sector has not been excluded. Tourism has been calculated to represent 10.2% of world GDP with honeymoons, destination weddings and romance travel continuing to play an important role in both domestic and foreign tourism. This is proved as these types of travellers tend to have a larger budget than the regular tourist; in fact, Solimar International, the sustainable tourism consultancy firm, calculated a global contribution of $28 billion to the worldwide industry in 2014. However, it is highly likely that the real value that weddings contribute to tourism goes underestimated; with the rise of international weddings, guests who often travel for the nuptial event will participate in tourist activities before or after the day of celebration. It is clear that wedding and honeymoon tourism is a sector that continues to support the growth of this global industry. Many business owners in the industry have hence refocused energy on implementing and adopting new practices for the sustainability of their services, increasingly investing in technology for greater efficiency in management, logistics and operations. However, sustainable tourism is not just a practice for businesses. There has been a growing number of newly-weds who are adapting their tourist activities to play a role in the longevity of this economic sector too. Honeymooners no longer just fill the category of luxury travellers, often seen as tourists who hid away in their resort complex for the entirety of their trip. Today’s highly educated millennial couple are more interested in cultural immersion and social impact, seeking a range of new and different experiences in addition to having those important “instagrammable” moments. Many still look for luxury and relaxation but also desire an additional offer to the historical proposition. Here are five trends in wedding & honeymoon tourism that are presenting new opportunities for couples, destinations and local businesses alike. More and more couples are opting for multiple trips post-wedding. Perhaps opting for a mini-moon right after the wedding (a 3-day trip) and then a longer trip to multiple destinations a few months later. 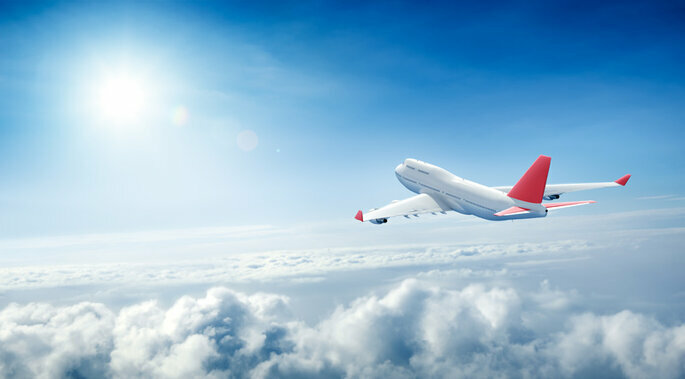 Not only can this help combat seasonality – thanks to couples spending their extended second honeymoon travelling during “low season” – but it is allowing more destinations to welcome this type of tourism. Couples no longer have to decide on just one country to visit! This could explain the increase in romance travel to countries such as Japan, Colombia and New Zealand. Big Data is a concept which transcends markets and so Tourism has truly been able to take advantage of the tools available to capture it. Not only does it allow for the analysis of consumer trends, but take for example hotels, by tracking consumer profiles and activity, they can now offer more relevant and customized packages, perfect for a busy millennial honeymooner. Tour operators and travel agents also use Big Data to be able to undergo effective negotiation with suppliers, in addition, they are able to understand existing demand and hence make more accurate demand forecasts. And let’s not forget airlines who use Big Data to offer strategic pricing and offer relevant add-ons, amongst other things. 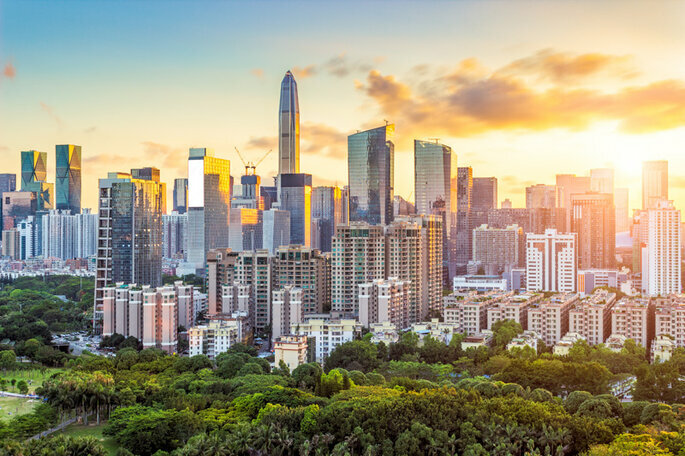 All these developments are allowing for better interaction between market supply and demand, bringing benefits for both companies and travellers. As couples become more environmentally conscious, considering their carbon footprint, more are opting for an eco-tourism honeymoon. These activities include, for example, staying in “green” hotels, perhaps opting to stay in a responsibly-run resort steeped in a forest in Costa Rica. This satisfies their desire for a new and unique experience, spending their first holiday as a married couple nestled in the tranquillity of nature; in addition to being able to expand their education through simultaneously spending time learning about conservation and green issues. 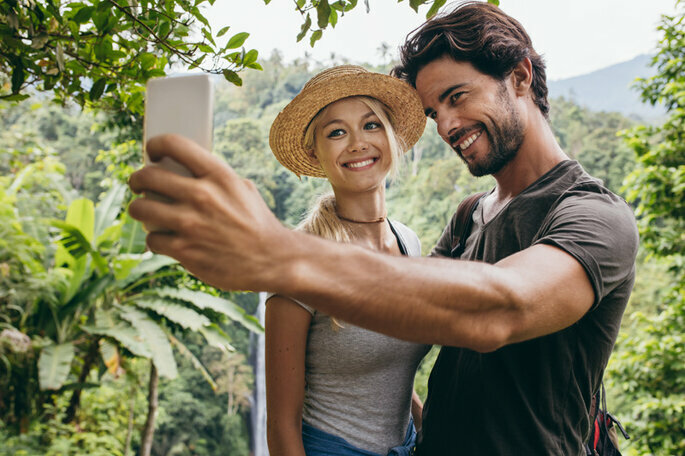 These natural options are even more attractive to the “typical” millennial couple who nowadays are also on the hunt for the most picturesque spots to upload to their Instagram profile. Technology is also transforming the destination experience for travellers. 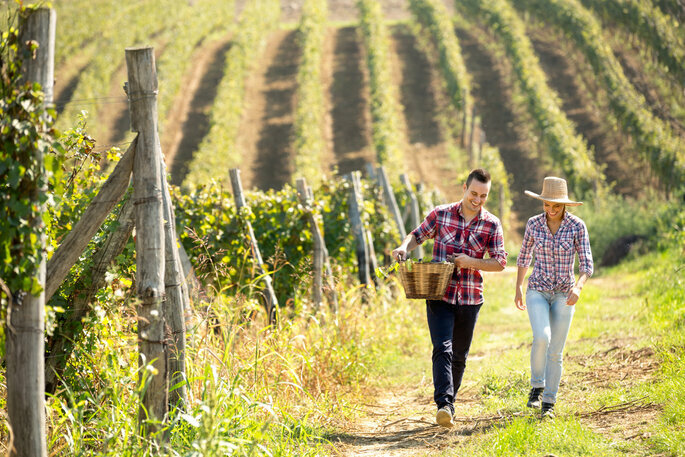 Novelties include mobile geo-tagging allowing apps to give them recommendations of local services, alongside this are mobile apps with walking trails of the local area, just a couple of examples of how mobile technology is improving the consumer experience for couples during their romantic trip. Free, high-speed wifi is another essential in today’s digital destinations, allowing couples to research services and book in real-time, (whilst of course, allowing them to access their social media platforms). Couples are also benefitting from online check-ins at hotel digital desks in addition to in-room ipads that allow honeymooners to easily buy add-ons during their stay. The list of technologies are endless and are all contributing factors to growing customer satisfaction and long term success within the tourism industry. Sustainable tourism also consists of supporting local businesses & causes and many couples are choosing to spend part of their honeymoon participating in charitable activities. These may include helping at wildlife conservation centres, supporting local farming activity, volunteering to help disadvantaged women and children, or simply visiting smaller towns, away from main tourist centres, which support local craftsmen and small business owners. All these seemingly unrelated honeymoon businesses can now cater to the modern honeymooner who is on the hunt for complete cultural immersion. So here are just a few of the industry activities paving the way for a tourism industry with a more sustainable and technologically advanced future. If you offer services for wedding & honeymoon tourism, then learn more here. A Successful Close to the 7th edition Exotic Wedding Planning Conference! A step-by-step walkthrough of the exciting 7th edition Exotic Wedding Planning Conference, Bangalore which took place in March. Zankyou was proud to present QnA International's event, the 6th Destination Wedding Planners Congress. Dubai hosted 500 leading luxury wedding connoisseurs from over 70 countries at this edition of the world’s biggest B2B platform for the destination wedding industry. As the 7th edition of the Exotic Wedding Planning Conference approaches, we take a look at the exciting features to be expected at this year's event in Bangalore. Expert advice on how wedding and honeymoon providers can improve their interaction with brides on Facebook. In December 2018, over 650 experts from the wedding and honeymoon industry will come together and meet in Riviera Maya in the Quintana Roo province of Mexico to celebrate the 10th edition of the Love Mexico & Beyond Awards! Perfect Honeymoon event in the Palacio de Cibeles in Madrid: Safaris in Africa and Seychelles were the highly requested destinations presented at this Zankyou event. The 8th Edition of the Exotic Wedding Planning Conference - Book Your Flights to Beautiful Arezzo Today! The 8th edition of the Exotic Wedding Planning Conference is set to take place in Arezzo - a gorgeous suburb in Tuscany, Italy - in June 2019, so book your plane tickets and save your space now for a conference that is sure to be absolutely amazing! A look at all the international wedding events in which Zankyou participated this past weekend, demostrating the true international nature of the company.